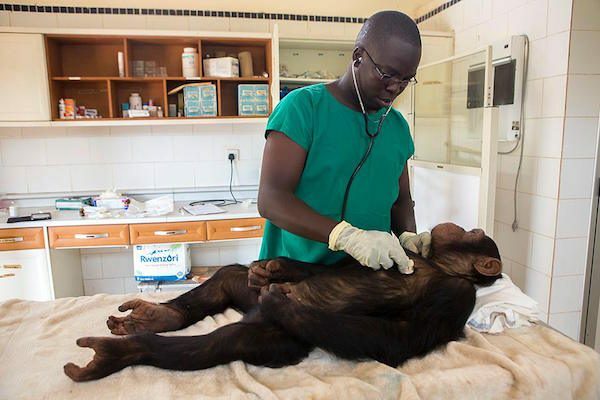 Dr. Rukundo is the Chimpanzee Trust senior Veterinarian, with experience of over 10 years. He is responsible for the health of the chimpanzees at Ngamba Island Chimpanzee Sanctuary. He is also responsible for Sanctuary operations including the chimpanzees, staff and guest services, the conservation of the species including programs run in the Chimpanzee Trust field Office and the Education programs. The Chimpanzee Sanctuary and Wildlife Conservation Trust is committed to providing welfare to the chimpanzees at Ngamba Island Sanctuary as well as to the conservation of this endangered species in Uganda and Africa.